Neck pain can limit your mobility and range of vision. Paul Brock, DC, a board-certified chiropractor, specializes in treating neck pain as well as other muscular, neural, and skeletal conditions. If you’re experiencing acute or chronic neck pain and want to find relief, contact Brock Chiropractic in Tustin, California, today. Call for an appointment or book one online. Approximately one in three people suffer from neck pain at least once a year, and more women are affected than men. Most neck pain is acute and transient, resolving on its own within hours to weeks. Neck pain is considered to be chronic when it lasts for more than three months. It's often difficult to pinpoint the source of neck pain because the neck is affected by muscular tension not only in the head and neck itself, but from the shoulders and arms. What are the risk factors for neck pain? Chiropractic treatments maximize spinal health so the body can begin to heal itself. The ideal treatment for neck pain varies by individual. Muscles, ligaments, and tissues outside of the neck region may also be involved. 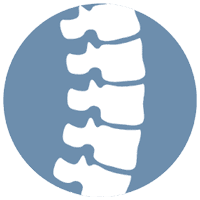 During your consultation for neck pain, Dr. Brock examines your neck and spine, and takes the history of your neck pain. The therapies Dr. Brock uses to balance your body and alleviate acute or chronic pain in your neck include traction to decompress the spine, ultrasound and percussion therapy to massage the muscles and tissues deeply, and chiropractic manipulation of the vertebrae and discs to achieve spinal alignment. Dr. Brock also helps you stay pain-free with nutritional and lifestyle guidance, including exercises to strengthen your neck muscles.